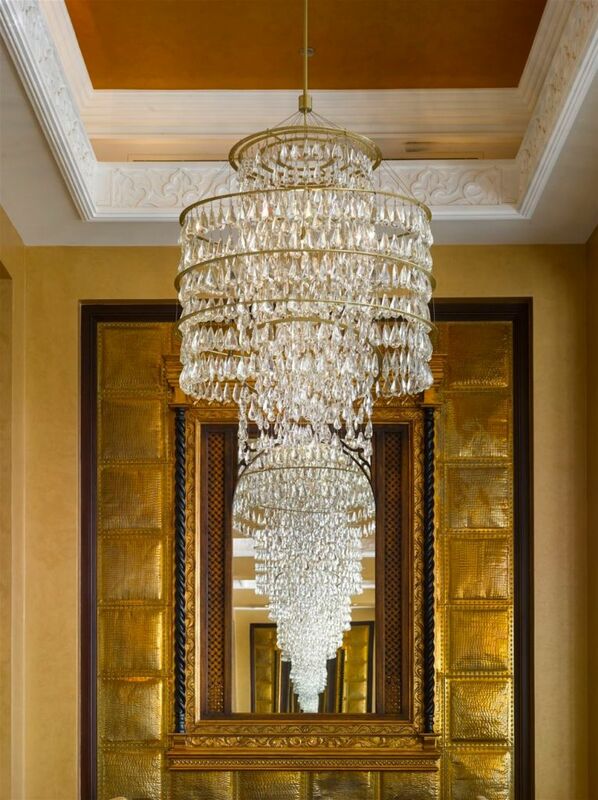 This 5-star property is a true jewel among Dubai’s hotel complexes. 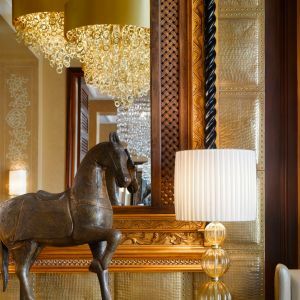 Also dubbed The Romance of Old Arabia, this unique hotel is renowned for its luxuriously opulent design and architecture, which wonderfully embodies all that is traditionally Arabic. 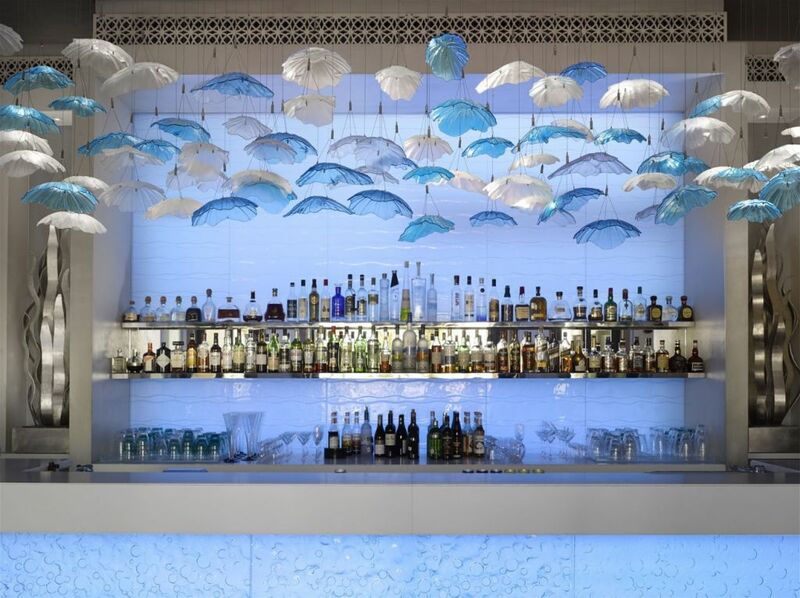 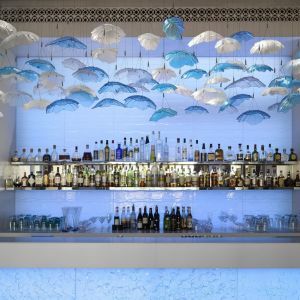 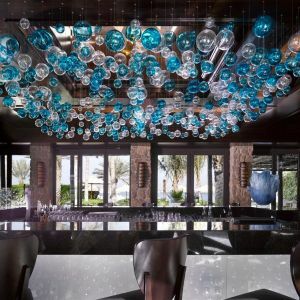 PRECIOSA - LIGHTING was selected to further beautify the unforgettable and lavish ambiance of the hotel’s Celebrities Restaurant and Jetty Lounge. 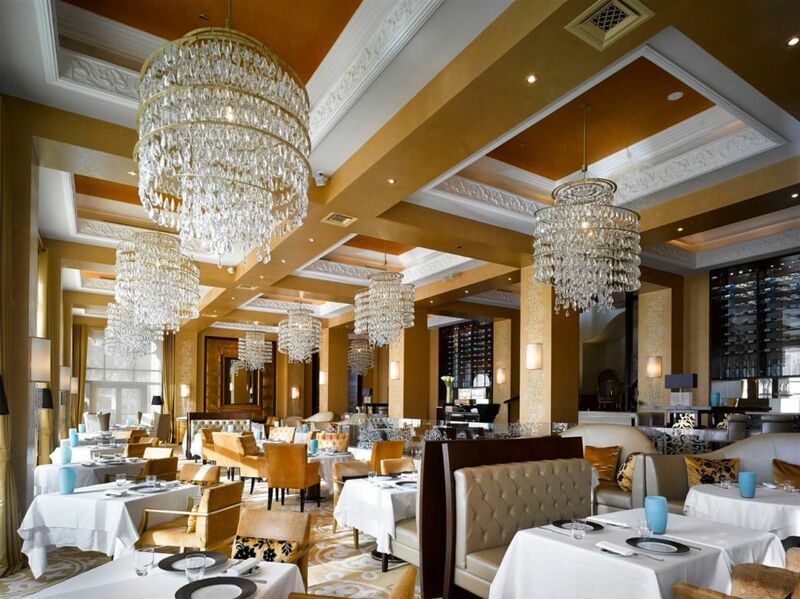 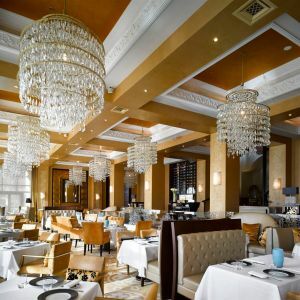 The newly refurbished Celebrities Restaurant delights guests with a carefully designed menu, which aims to satisfy even the most demanding culinary aficionados. 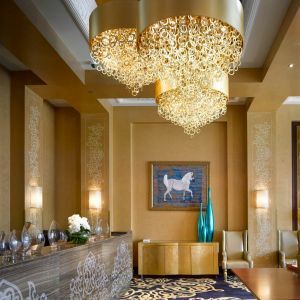 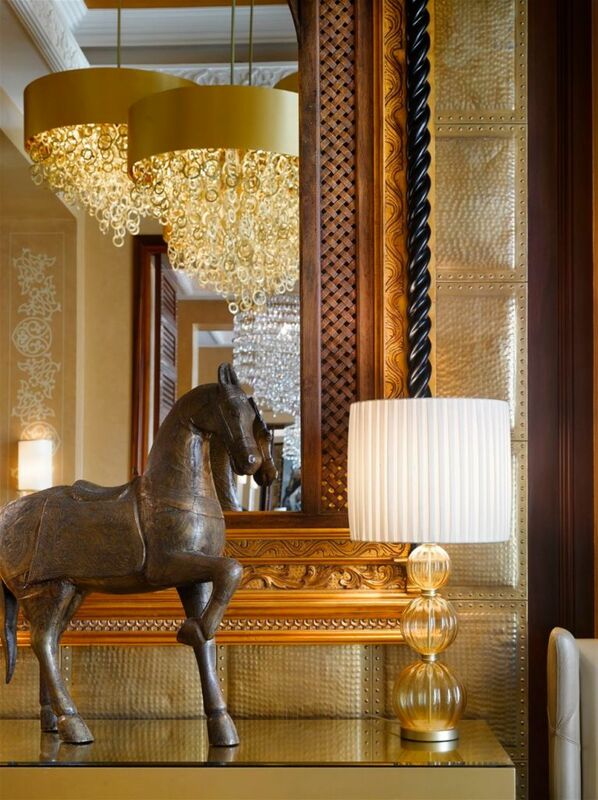 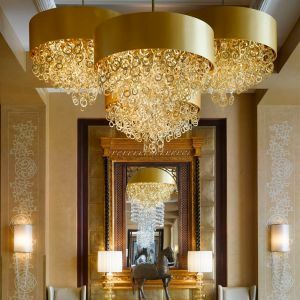 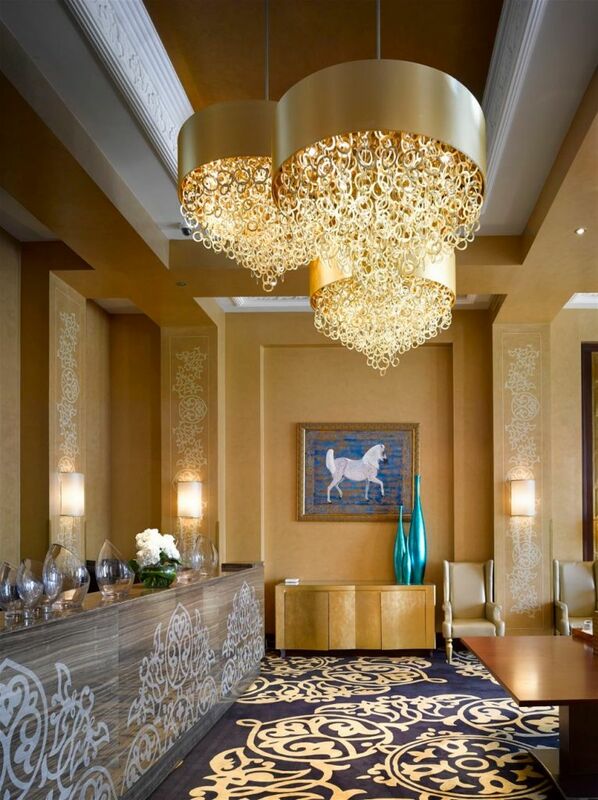 The contemporary interior is unified with tones of gold and amber, which the Preciosa chandeliers elegantly compliment. 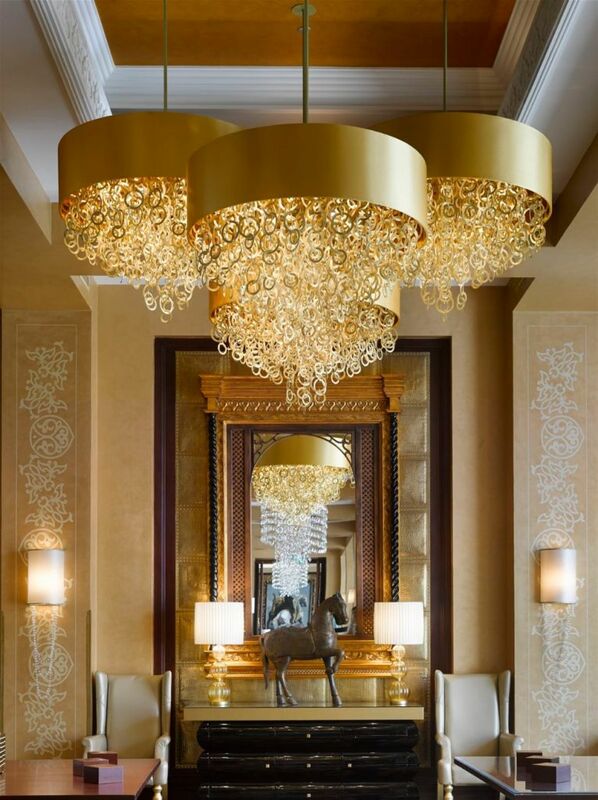 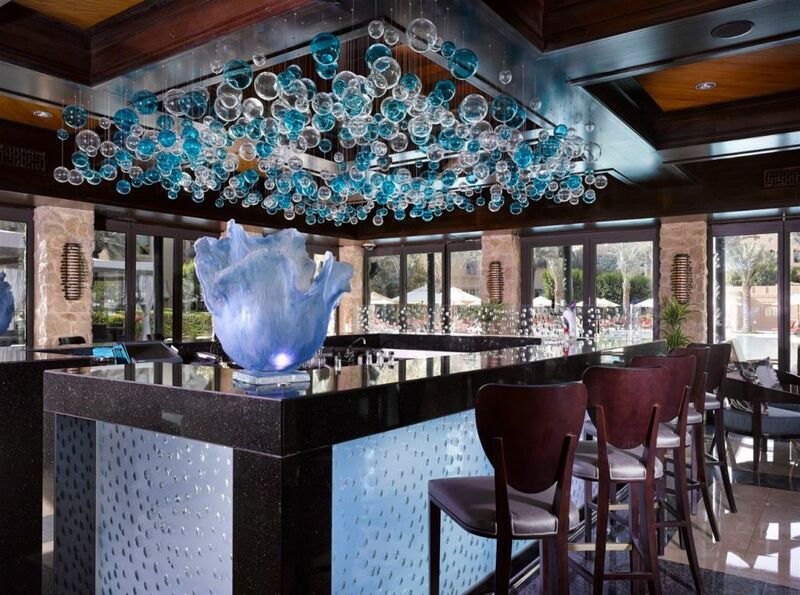 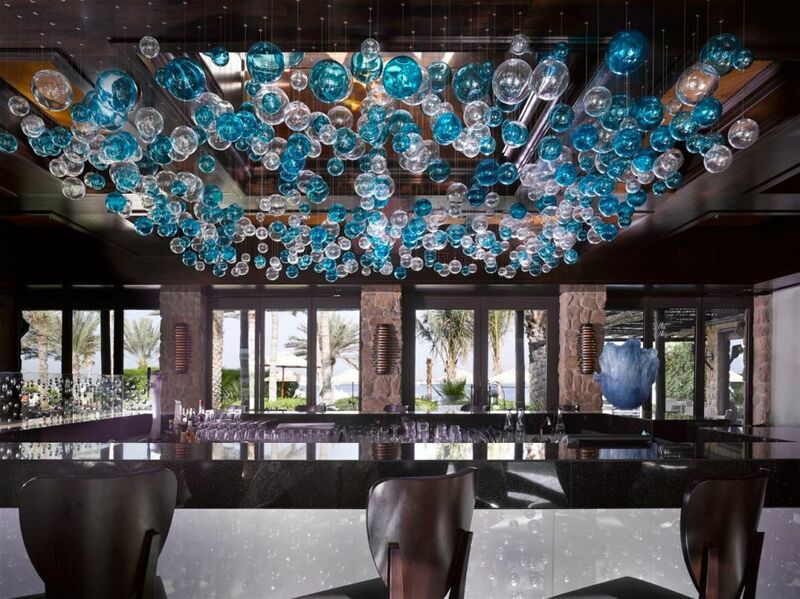 The main dining area is illuminated with stunning Preciosa crystal chandeliers. 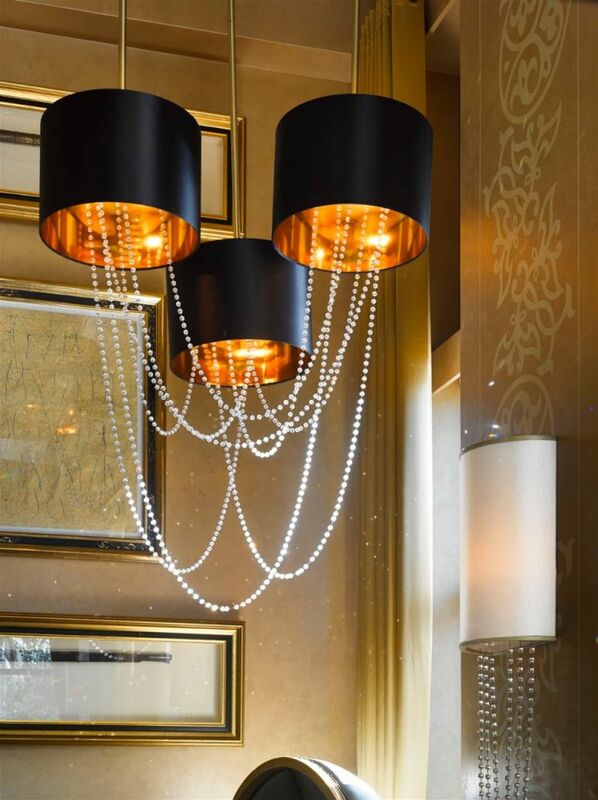 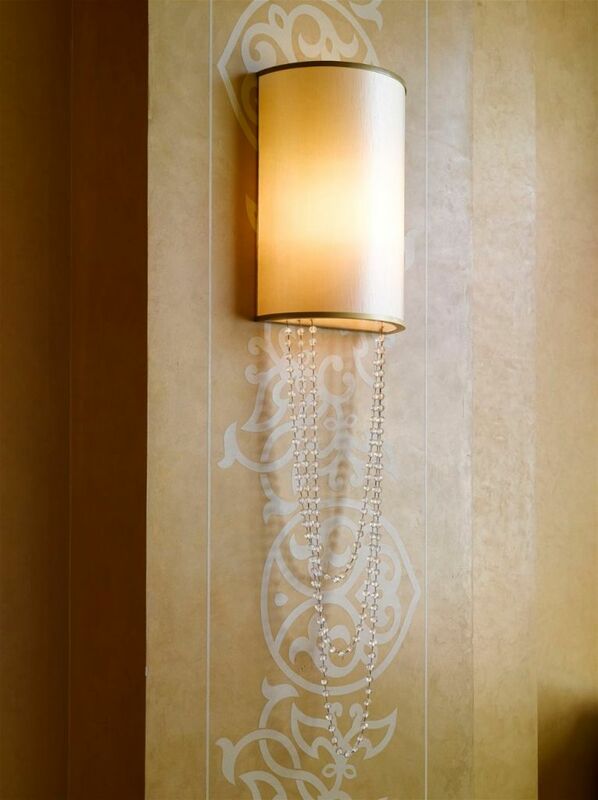 The design concept is based on gold metal rings, and is decorated with gently cascading, sparkling crystal drops. 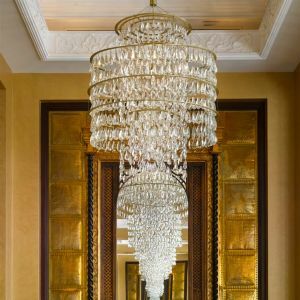 The use of natural tones and the simple purity and elegance of crystal used to create the feeling of the new and old meeting melding together in a contemporary yet sumptuous atmosphere. 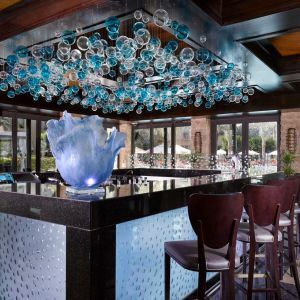 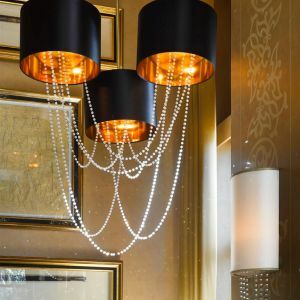 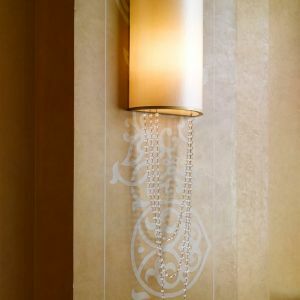 The final touches and adjustments of the installation ensured that the luminary accented the interior perfectly, while it simultaneously made a brilliantly striking and stylishly timeless statement.